Among the many destinations that prove Nova Scotia is a little piece of heaven, there is the Annapolis Valley where Kentville is located. The largest town in the valley is a must during a visit to this corner of the world. It is a place where people are friendly, welcoming and colourful. And someone especially stands out in this unique population : Logan Landry. The son of Mr. Mike Landry, owner of Kentville Mazda, Logan is an avid surfer. When most people think of surfing, they think of the California sun and its balmy waters ... but not Logan! Like his hometown, Kentville, Logan Landry likes to do things differently. That is why he challenges the waves of Iceland! The unique characteristics of each Iceland location, with its changing conditions, add up to make the experience exciting for this surfer. Logan drives toward adventure aboard his Mazda CX-5 and, equipped with his surfboard (of course! ), he does not hesitate to erupt into action and tame the waves of the frigid waters where emerge frozen islands! 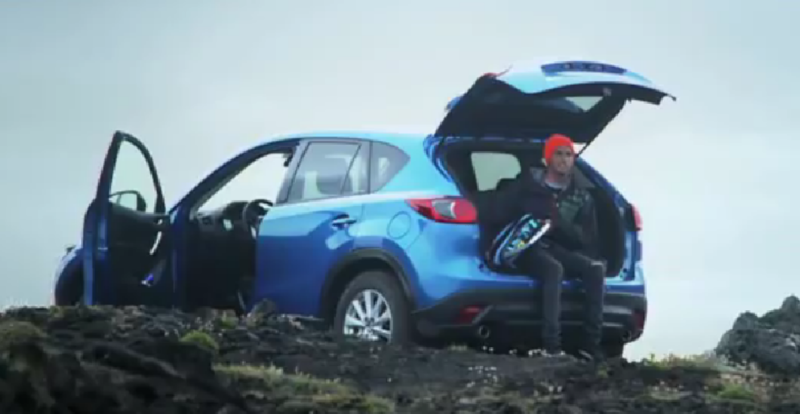 Mazda is proud to sponsor Logan Landry’s exploits, as can be seen on video. This young man represents well what is Nova Scotia, and especially Kentville, a town and a province that defy conventions. It is no surprise that the Kentville Mazda dealer is such an integral part of the region since Mazda is also constantly looking for innovations that shatter conventions. And this is exactly what it did with SKYACTIV technology. Named Technology of the Year, it is found on the CX-5 2013, the first SUV that has the complete SKYACTIV technology system. Logan Landry’s surfing pride and Mazda’s technological pride; both can be found in Kentville, Nova Scotia!